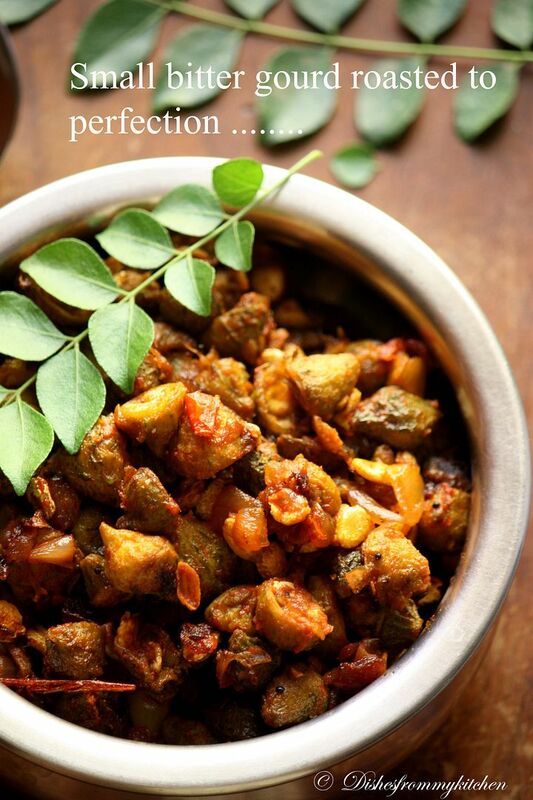 Dishesfrommykitchen: Roasted Small Bitter Gourd and Sambar with Freshly Ground Spices - A hearty meal !!! Roasted Small Bitter Gourd and Sambar with Freshly Ground Spices - A hearty meal !!! 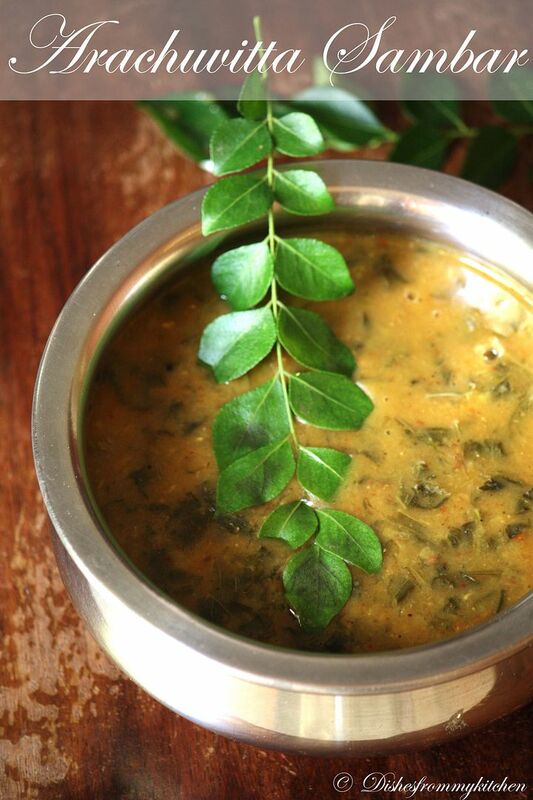 Another recipe is Sambar made with freshly ground spices which in Tamil called as Arachuvitta sambar. 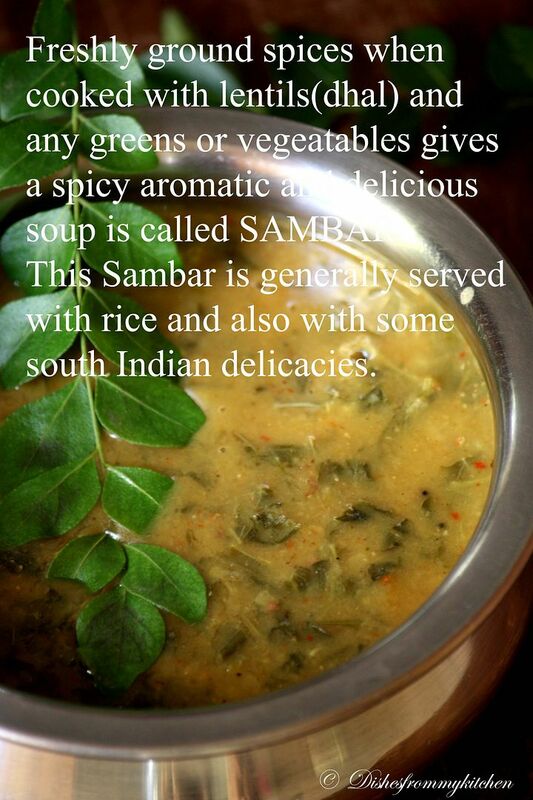 Freshly ground spices when cooked with lentil (dhal) and any greens or vegetables gives a spicy soup is called Sambar. This is generally served with rice and some south Indian delicacies. Hope you will enjoy this hearty meal. 1. 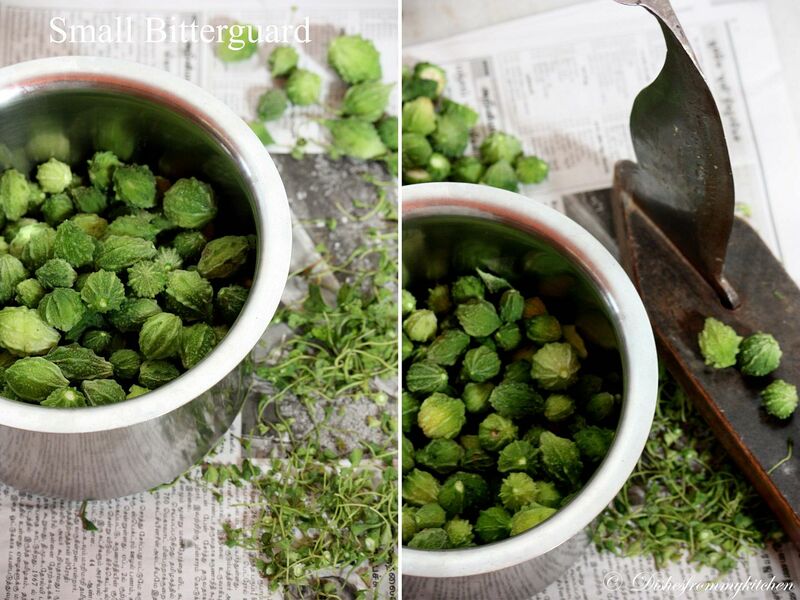 Remove the two sharp edges of the bitter gourds. Slit each one horizontally so that it looks like it is slitted. Don't cut fully. If you find it is too big then cut into two horizontally. 2. Wash them in cold water drain and keep it aside. 3. In a pan boil 1 cup of water add the cleaned bitter gourd. Cook till done. Don't overcook it. 4. Now heat oil in the pan, add the seasoning ingredients mustard followed by urad dhal. 5. Add the onion and Curry leaves sauté till golden brown. 6. Add the chopped tomato, sauté till they are mushy and oil starts coming out. 7. Now add the boiled bitter gourd, tamarind pulp, and salt and chilli powder. 8. Now keep the flame in medium to low, sauté them once in a while until roasted well. While boiling bitter gourd takes care not too over cook it, 1 cup of water is approximate you can add more or less depends on the vegetable it varies, use as required. It is enough if you boil it 3/4th since we are roasting it again. Roast (dry fry in a pan) the above ingredients and grind them to paste. 1. Wash the toor dhal; add the turmeric and pressure cooked for 2 to 3 whistles. 2. Remove from the cooker and mash them slightly. 3. Boil the vegetables/greens, shallots and tomato with enough water. 4. Once they are done add the tamarind pulp, ground spice paste, Cooked dhal. 6. 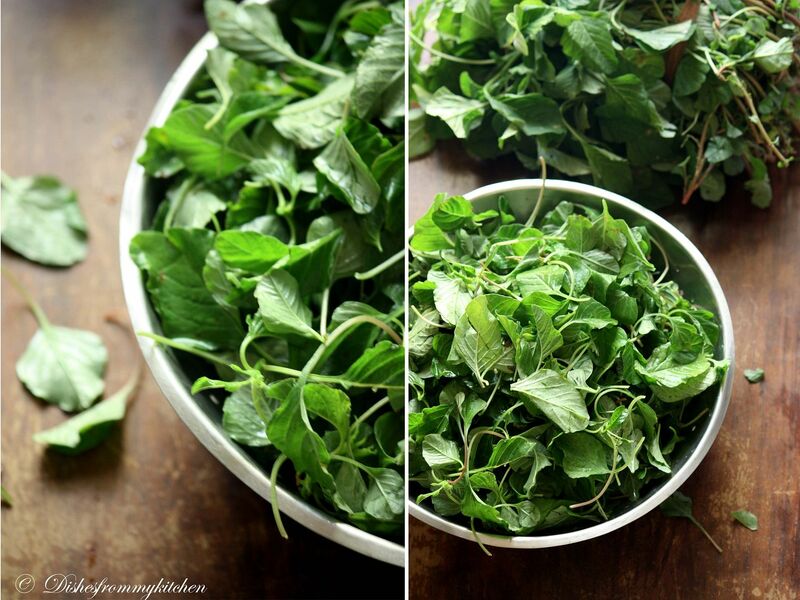 Temper them with mustard, asafoetida and curry leaves. 7. Add the chopped coriander leaves. Drumstick, radish, brinjal, mixed vegetables (carrot, beans, and potato), pumpkin, ash gourd, chayote, cauliflower, greens of your choice etc can be made in same way. 1. Don't over cook the vegetables. 3. Add the redchillies and tamarind according to your taste; it depends on your spice and sourness level. Enjoy this hearty meal !!! OMG, mouth watering here.. Absolutely inviting Pavithra.. Love the presentation too.. Awesome !!!!!!!! Yum!!! Reminds me so much of my mom :) Where are you located Pavitra, I thought you were in the US?? And if you are in the US, did you really get the "aruvamanai" all the way??? Wow!! 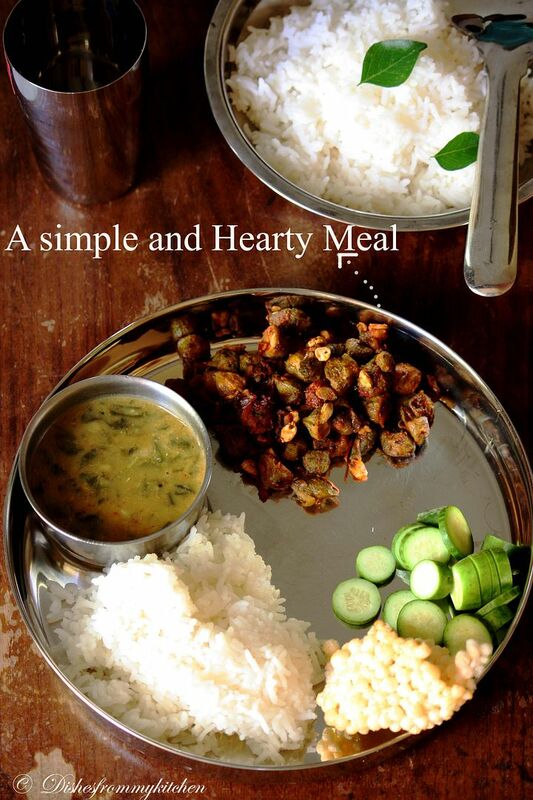 The dish looks very homely and inviting and would have tasted great. I am big fan of homely comfort foods. Excellent combination of bitter groud and sambar. Looks excellent. I have never tasted baby bitter gourd..They look so cute!! And the roast looks so tempting!! Sambar also looks healthy and delicious..Am drooling over your last click!! Yum! awesome platter with healthy goodness! I have never seen these small bittergourds...the curry looks delicious. I love these small bittergourds! Used to plant these. 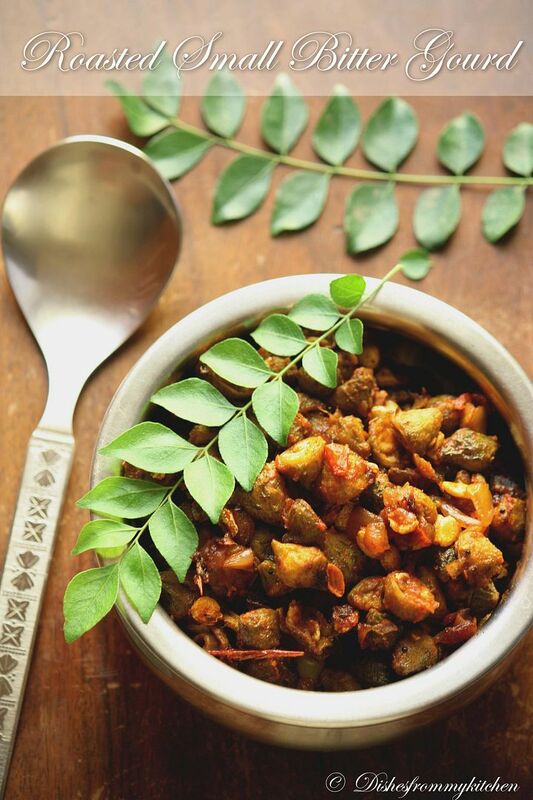 Your roasted sambar looks really delicious! Bookmarking this! Thank you for sharing! Platter looks very homely. The karela curry is my favorite& it looks yummy. 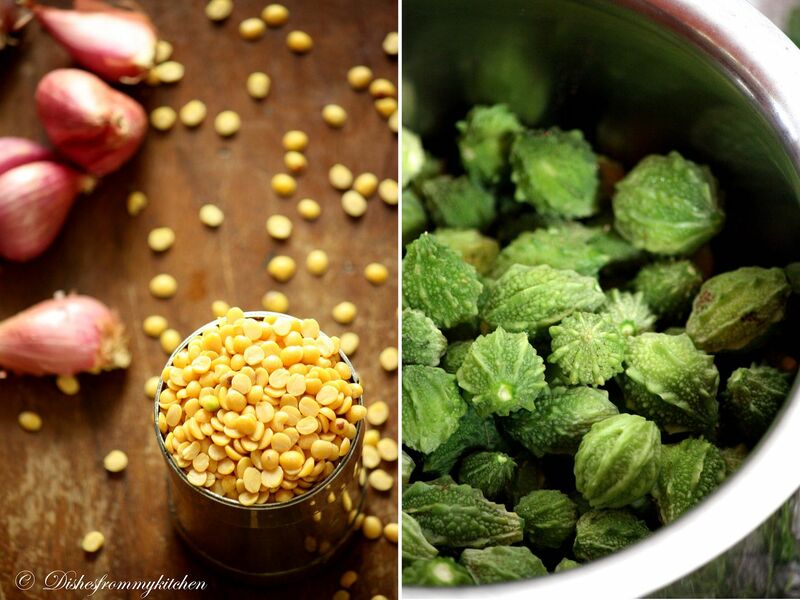 Beautiful clicks too..
i never tried this small pavakka....will try it soon...healthy roast n yummy curry! Wow both roasted bittergourd and sambar looks super delicious..simply inviting.. I would love to have that meal anytime.Simply tempting. I luv bittergourd..i never saw these...so cute..
Love these my favourite veggie. Yummy platter.. Lovely recipe of bitter gourd, dear..
mmm... mouth watery clicks. Loved this a lot. Your pictures are truly a feast for the eyes! did u prepare this in madurai????? Luvly roasted Bittergourd dear.YUMM clicks too.The recipe is supergood. BEETS RICE - AN AWESOME LUNCH BOX MENU !!! WINNERS OF DMBLGiT - AUGUST 2011 !!! !